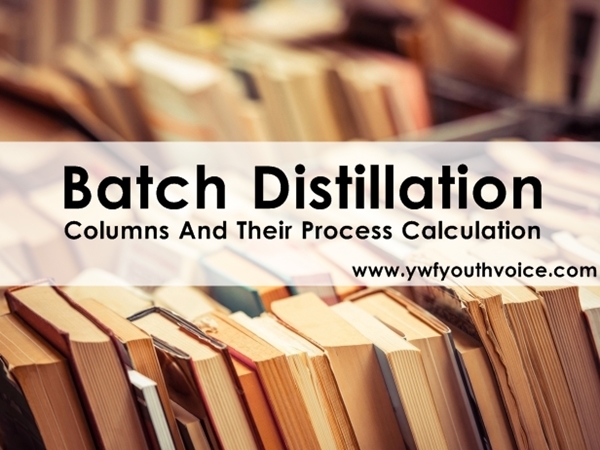 Introduction to batch differential distillation, basic process diagram, Rayleigh equation derivation, columns and process calculation with example. In batch operation, the feed is introduced batch-wise to the column. That is, the column is charged with a 'batch' and then the distillation process is carried out. When the desired task is achieved, a next batch of feed is introduced. Consider a binary mixture of components A (more volatile) and B (less volatile). 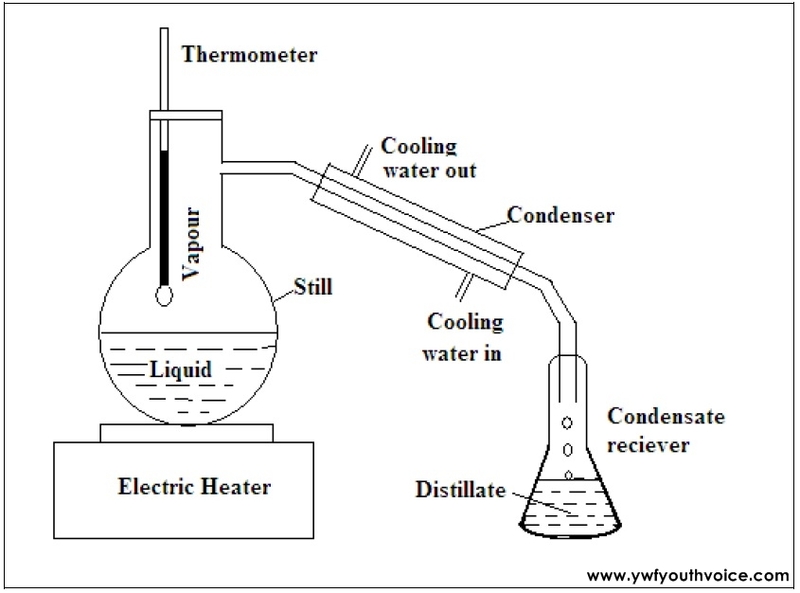 The system consists of a batch of liquid (fixed quantity) inside a kettle (or still) fitted with heating element and a condenser to condense the vapor produced as shown in figure. The condensed vapor is known as the distillate. 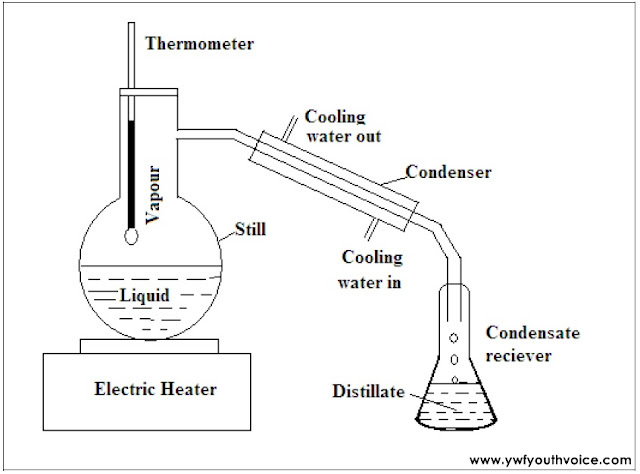 The distillate is collected in a condensate receiver. The liquid remaining in the still is known as the residual. The process is unsteady state. The concentration changes can be analyzed using the phase diagram, and detailed mathematical calculations carried out using the Rayleigh Equation. As the process is unsteady state, the derivation is based on a differential approach to changes in concentration with time. x2 = final liquid composition in still (mole fraction A). The integration can be obtained graphically from the equilibrium curve, by plotting 1/(y-x) versus x.